Search for your next new vehicle from Porter Auto's Chevrolet, Ford, Hyundai, INFINITI, and Nissan dealerships. 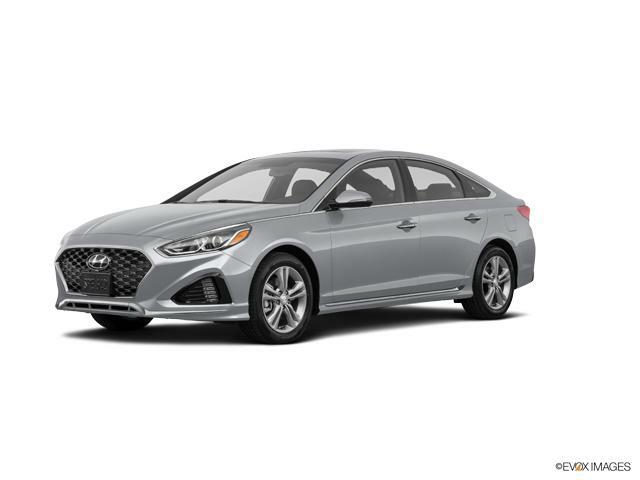 View our full new Hyundai Sonata inventory, or refine your search by using the filters to the left. Estimated Lease payment based on 36 months and $2,000 due at lease signing. Cash due at signing includes $5,834 capitalization cost reduction, which includes $650 acquisition fee, plus a required security deposit of $0, and first month's lease payment of $367. Excludes title, taxes, registration, and license fees. Total monthly payments equal $19,018. Mileage charge of $0.20 per mile over 12,000 miles. Not all consumers will qualify. Residency restrictions may apply. Finance for $426 per month at 5.99% APR for 72 months with $0 down payment. Payment expires on 04/30/19. Estimated Lease payment based on 36 months and $2,000 due at lease signing. Cash due at signing includes $5,874 capitalization cost reduction, which includes $650 acquisition fee, plus a required security deposit of $0, and first month's lease payment of $327. Excludes title, taxes, registration, and license fees. Total monthly payments equal $17,619. Mileage charge of $0.20 per mile over 12,000 miles. Not all consumers will qualify. Residency restrictions may apply. Finance for $424 per month at 5.99% APR for 72 months with $0 down payment. Payment expires on 04/30/19. Lease for $325/month for 36 months with $2,000 due at signing including $0 Security Deposit and 12,000 miles per year. Payment expires on 04/30/19. Estimated Lease payment based on 36 months and $2,000 due at lease signing. Cash due at signing includes $5,876 capitalization cost reduction, which includes $650 acquisition fee, plus a required security deposit of $0, and first month's lease payment of $325. Excludes title, taxes, registration, and license fees. Total monthly payments equal $17,561. Mileage charge of $0.20 per mile over 12,000 miles. Not all consumers will qualify. Residency restrictions may apply. Finance for $389 per month at 5.99% APR for 72 months with $0 down payment. Payment expires on 04/30/19. Lease for $283/month for 36 months with $2,000 due at signing including $0 Security Deposit and 12,000 miles per year. Payment expires on 04/30/19. Estimated Lease payment based on 36 months and $2,000 due at lease signing. Cash due at signing includes $5,918 capitalization cost reduction, which includes $650 acquisition fee, plus a required security deposit of $0, and first month's lease payment of $283. Excludes title, taxes, registration, and license fees. Total monthly payments equal $16,101. Mileage charge of $0.20 per mile over 12,000 miles. Not all consumers will qualify. Residency restrictions may apply. Lease for $270/month for 36 months with $2,000 due at signing including $0 Security Deposit and 12,000 miles per year. Payment expires on 04/30/19. Estimated Lease payment based on 36 months and $2,000 due at lease signing. Cash due at signing includes $5,931 capitalization cost reduction, which includes $650 acquisition fee, plus a required security deposit of $0, and first month's lease payment of $270. Excludes title, taxes, registration, and license fees. Total monthly payments equal $15,632. Mileage charge of $0.20 per mile over 12,000 miles. Not all consumers will qualify. Residency restrictions may apply. Finance for $375 per month at 5.99% APR for 72 months with $0 down payment. Payment expires on 04/30/19. Lease for $269/month for 36 months with $2,000 due at signing including $0 Security Deposit and 12,000 miles per year. Payment expires on 04/30/19. Estimated Lease payment based on 36 months and $2,000 due at lease signing. Cash due at signing includes $5,932 capitalization cost reduction, which includes $650 acquisition fee, plus a required security deposit of $0, and first month's lease payment of $269. Excludes title, taxes, registration, and license fees. Total monthly payments equal $15,599. Mileage charge of $0.20 per mile over 12,000 miles. Not all consumers will qualify. Residency restrictions may apply. Finance for $373 per month at 5.99% APR for 72 months with $0 down payment. Payment expires on 04/30/19. Lease for $267/month for 36 months with $2,000 due at signing including $0 Security Deposit and 12,000 miles per year. Payment expires on 04/30/19. Estimated Lease payment based on 36 months and $2,000 due at lease signing. Cash due at signing includes $5,934 capitalization cost reduction, which includes $650 acquisition fee, plus a required security deposit of $0, and first month's lease payment of $267. Excludes title, taxes, registration, and license fees. Total monthly payments equal $15,538. Mileage charge of $0.20 per mile over 12,000 miles. Not all consumers will qualify. Residency restrictions may apply. Finance for $369 per month at 5.99% APR for 72 months with $0 down payment. Payment expires on 04/30/19. Lease for $263/month for 36 months with $2,000 due at signing including $0 Security Deposit and 12,000 miles per year. Payment expires on 04/30/19. Estimated Lease payment based on 36 months and $2,000 due at lease signing. Cash due at signing includes $5,938 capitalization cost reduction, which includes $650 acquisition fee, plus a required security deposit of $0, and first month's lease payment of $263. Excludes title, taxes, registration, and license fees. Total monthly payments equal $15,386. Mileage charge of $0.20 per mile over 12,000 miles. Not all consumers will qualify. Residency restrictions may apply. Finance for $346 per month at 5.99% APR for 72 months with $0 down payment. Payment expires on 04/30/19. Estimated Lease payment based on 36 months and $2,000 due at lease signing. Cash due at signing includes $6,076 capitalization cost reduction, which includes $650 acquisition fee, plus a required security deposit of $0, and first month's lease payment of $235. Excludes title, taxes, registration, and license fees. Total monthly payments equal $14,506. Mileage charge of $0.20 per mile over 12,000 miles. Not all consumers will qualify. Residency restrictions may apply. Estimated Lease payment based on 36 months and $2,000 due at lease signing. Cash due at signing includes $6,077 capitalization cost reduction, which includes $650 acquisition fee, plus a required security deposit of $0, and first month's lease payment of $234. Excludes title, taxes, registration, and license fees. Total monthly payments equal $14,470. Mileage charge of $0.20 per mile over 12,000 miles. Not all consumers will qualify. Residency restrictions may apply. New vehicle shoppers know to come to a Porter Auto Group dealership in Newark, DE when they are shopping for a new car. To hone your new Hyundai Sonata car search further, please use the filters at the upper left. Whether you're looking for a car, truck, SUV, or van, we'll have the right one for you. Each of our Chevrolet, Ford, Hyundai, INFINITI, and Nissan dealerships offer new and used vehicles, so we are sure to have what you are looking for. If you are not finding your perfect match or need more information, please call us today at 302-223-9297 or contact us online now and we'll be sure to get you in touch with the right person.